So I have seen my fair share of street art but this guy takes the cake — or should I say takes the dirt? Not often do we see masterpieces depicted in dirt but the medium here appears less important than the end result. Recently, my brother-in-law came home furious after seeing that someone has written in dirt on his truck some profanities that should not be repeated. He was so furious! 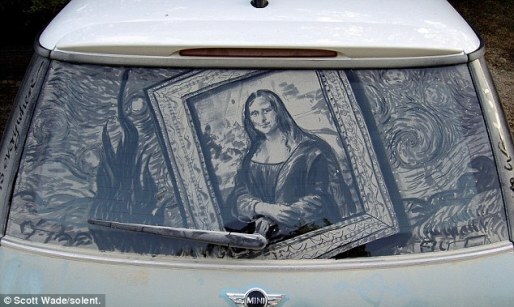 But after seeing this type of art – I would definately welcome having someone paint in dirt on my filthy car.